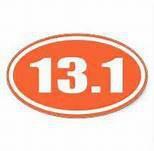 The KCTC Half Marathon Training Program will prepare you for 13.1 miles. A 14 week Half Marathon Training will start at 7am on Saturday January 11th at 55th and Brookside! Jennifer Ristau, an RRCA certified coach will lead this group to glory and ensure you can go the distance at any of the spring half marathons. Saturdays starting January 11th at 7:00 AM. All runs will start at 55th and Brookside Blvd. Cost is $15 plus KCTC membership if you are not already a member. Weekly training plan. Mileage will increase slowly. Be a Kansas City Track Club Member ($20. individual, $25. family) go to www.kctrack.org and click on “Become a Member”. Agree to not use headphones, bring strollers or pets to the sessions. Sorry. Our insurance does not allow this.